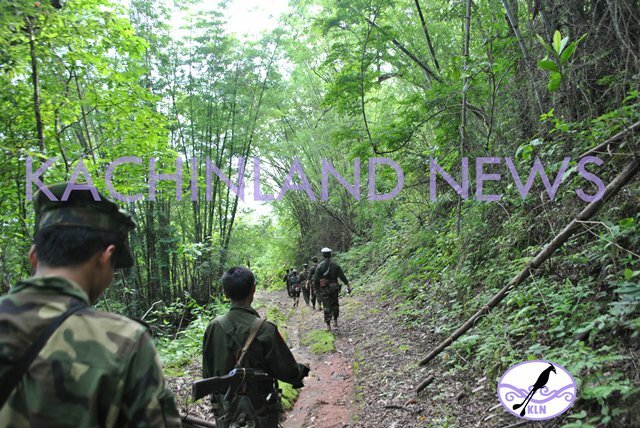 A battle took place between Kachin Independence Army (KIA)’s 14th Battalion troops and a Burma Army (BA) column at Nam Hkam village in Danai township on July 12 at 2:30 pm, reported a KIA frontline source. The battle lasted for an hour. In Hpakant township on July 11, a BA unit fired two rounds of 60 mm mortars and multiple rifle rounds after stepping on a landmine at Mazup Yang in Lai Nawng Hku village at around 1:15 am. In Laiza township, BA troops currently based at Bum Re fired multiple assault rifle rounds on KIA’s 23rd Battalion positions on July 10 at 5 pm. 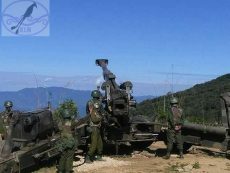 In northern Shan state, KIA’s 36th Battalion troops fired a 60mm mortar shell on BA’s 216th LIR troops at U Raw Bum on July 10 at around 6 pm. KIA source said 216th LIR troops are based at Kawng Sahti village in Muse township and advanced into U Raw Bum area on July 10. On July 8, KIA troops under 2nd Brigade and about 70 Burmese army soldiers encountered at Je Htang bridge near Nawng Nyang village in western Kachin state. The two sides engaged in a series of skirmishes between 12 pm and 7 pm.